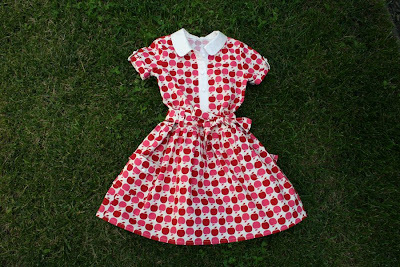 I blogged about a week ago about a dress I made my almost three year old for Christmas. 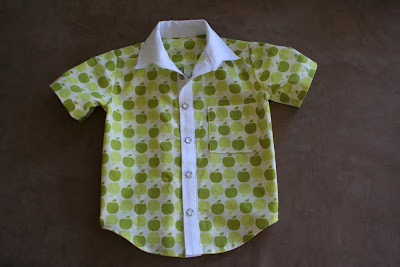 My little boy now has a matching shirt in the green colourway of the same fabric! It's my usual shirt pattern (sketchbook by O+S) with pearly snaps instead of buttons. I made the collar and placket cream so it's extra matchy (and naff!) on Christmas day. When I went to cut out the shirt I found I had nowhere near as much of the green fabric as I thought. The very lovely Emma came to my rescue with some yardage from her stash - you can check out her amazing blog here. Thanks Emma! Merry Christmas everyone, hope you all have a happy and safe holiday. Shirt for my 15 month old. He'll wear it with some store bought shorts as I ran out of time to make some. They're beige with apple green trim. 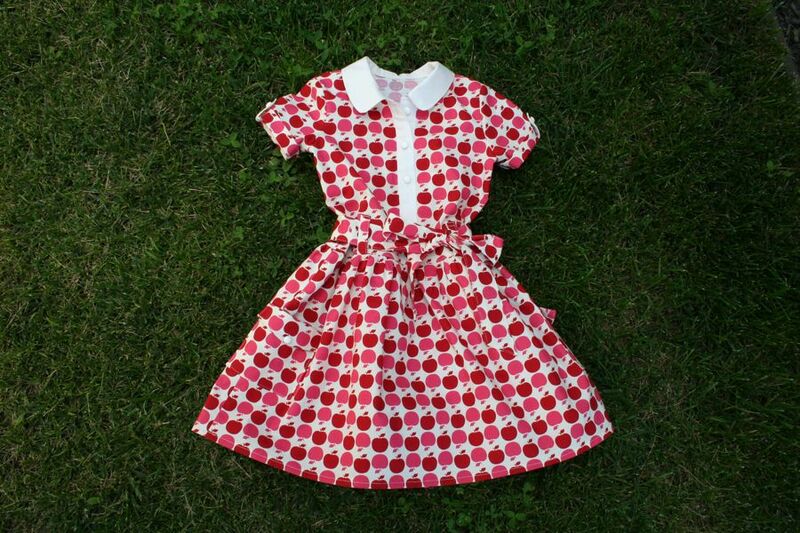 To match this dress for my nearly three year old. Very nice - matchy but not *too* matchy. A great set for family photos. I love it! They will look adorable on Christmas Day! so cute! Will have to give that pattern a go for my DS! Great shirt - I have a yard or two of the three colourways, but never thought of using them for a Sketchbook shirt. Very cute! I love the sketchbook shirt pattern. My boys have one each and will definitely be getting more! Hi, I was directed to your blog from a friend :) The apple fabric is gorgeous and makes for a very cute shirt.